I was recently made aware of a pretty cool record label operating out of Pittsburgh - Mirkwood Recordings. Mirkwood has been releasing "subterranean lo-fi, punk, post-rock,blues, folk, noise rock and more" since 2005, which is quite a while. Kurt, who runs the label, told me that they used to do physical releases but switched to an all digital format some time ago. Mirkwood's most recent release is Düne Kankel's Impermanence from about a month ago (June 21). It's an ambient/noise/drone kind of affair that reminds me of my own Satyr/Elfheim quite a bit. The tracks have some household sounds and imperfections to them, which adds to the feel. This is an album from the dark and lonely depths of the night. The album starts off with "Acceptance of Sorrow", which sets the tone of the whole release. It sounds like a band that I really like called Blue Velvet, a post-rock-ish instrumental group from New York that broke up years ago. The playing is kind of advanced on here like an old blues guitarist in the truest sense (I don't mean Jimmy Page). The second track, "Toothache Session", is long and droney, various instrumentals begin and end through a few fades. There's a lot of fuzz and a heavy undertow of dread. It reminds me a bit of the Melvins' "Lividity", the final track off of Stoner Witch, for the heavy tones and the implication of a medical procedure; "Lividity" explicitly ends with a man telling a doctor that his lungs are fine. "Johnny", the third track here, goes back to the guitar, a little more calm and acoustic, with some imperfect picking. It's warped and sad, alone but for a cat. In the next track, we head into a totally tonally different world separated from the real by a thick shell of fog or perhaps a blanket; we're looking into a room from outside. This has a very different feel from the last track, which was an invitation to a private world where you could perhaps become comfortable. This track, "Source Emptiness", is devoid of warmth, and it is harshly dissonant. There's some looping of the void of guitar winds while some shapes of scales come through the fog. A bit before the middle, the murk clears a bit into more melodic stuff, but then it's back to echoing sounds around into a feedback loop. As the song ends, it alternates between the two several times before fading out. The final track is called "Division from Intolerance", and starts with more abyssal sounds. This track has some semi-Sabbath-y chords and soloing, along with a waveform that pierces through and bell-like tones that probably resound from a third bridge. It's pretty misty like the last one and fades into the night. 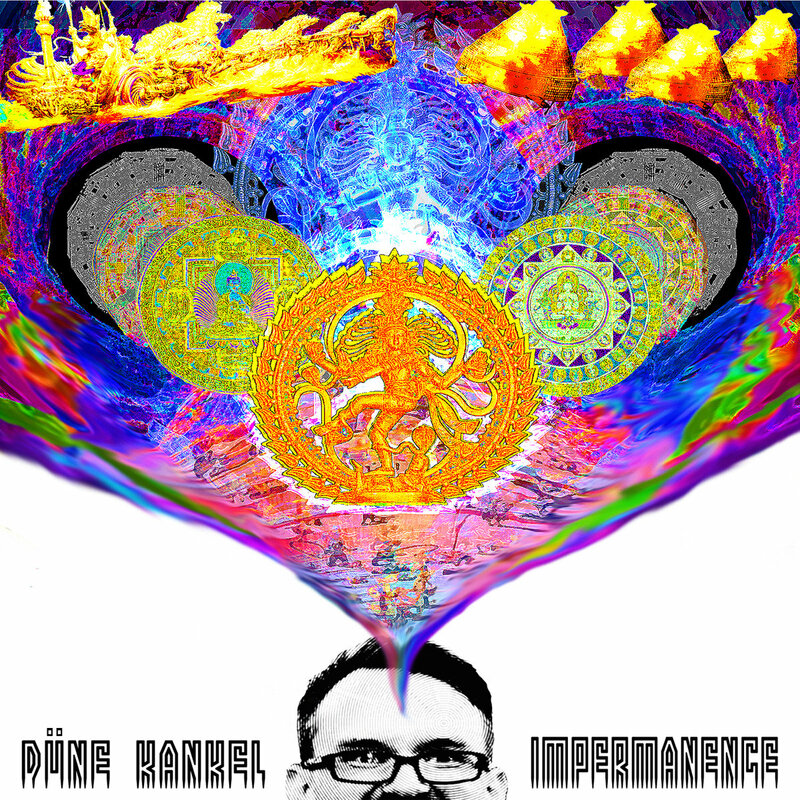 Impermanence is a little long and somewhat hard to listen to at times. I enjoyed the lo-fi aesthetic and the dark and deep sounds. It was so strangely eerily similar to many things I did as Satyr/Elfheim that it almost seems like something I might have recorded. I will be checking out the rest of the Mirkwood Recordings catalog as time goes on, and I am excited to check out more of their releases which will surely include some folklore of the past and more myths of today and tomorrow. Impermanence gets a Good.